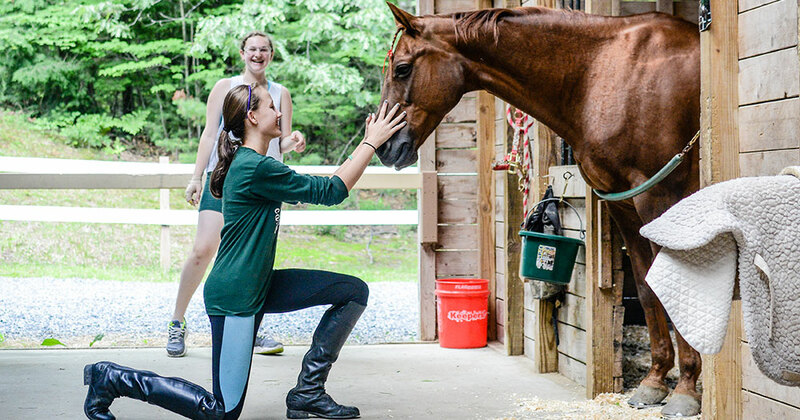 You won’t believe how terrific our entire equestrian program is! Our enormous, gorgeous barn is right in camp so it doesn’t take any longer to get to riding than to any other activity. Summer camp is a great place to learn how to ride horses if you are a beginner. If you already love horseback riding, at Vega, you will have the opportunity to ride everyday if you choose to. Both our rings have very soft footing and our jumps are varied and in great shape. Our new white fencing is safe and secure and both our instructors and the horses you will ride are well chosen to fit your personal needs and to keep you safe. We also have horse shows for you to develop or maintain a competitive edge, and you can practice grooming and acquire other useful horsemanship skills.